Labrador and Cocker Spaniel training . Please ring early to secure training as there are only a few slots free and only open to dogs which Jack has bred himself. Minimum stay of one month – with weekly progress reports. 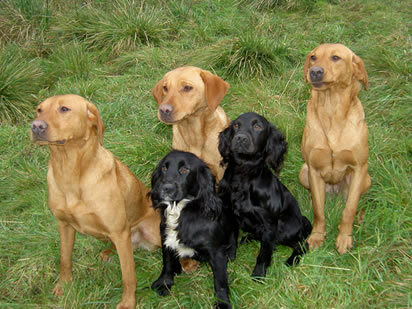 Jack’s training methods are used to bring out the natural game finding abilities in all the gundogs he trains. The respect the gundogs have for him is there for all to see. We take dogs in for training (with boarding) and can help train them towards the owners requirements. 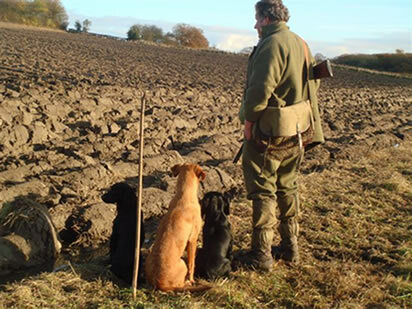 At Cuckavalda we have the advantage of being able to take dogs out into a shooting environment, thus providing valuable experience out in the field. Get in touch to discuss your requirements. Jack has bred and trained award winning dogs. Cuckavalda Boris – run by Brendan Kelly – has won his first few tests in the under 18 month old categories. Brendan is now looking forward to the trialling season to get under-way. Cuckavalda dogs can now be found in America, Holland, France, Scotland, and Ireland.